Since childhood I have always had an affinity for art and design, always looking for ways to express myself through the arts. My first venture into design came as a high school student when I painted and sold clothing to friends, family, and others in my neighborhood. This was an exciting project for me as it allowed me to not only express my own design ideas, but also to help others express theirs as well (something I have always loved to do!) My formal education in design came at the Fashion Institute of Technology where I achieved a degree in fashion merchandising. I began my career in the fashion industry as a buyer for stores such as Federated Department Stores and Brooks Brothers. After some years in fashion I was thankful to have an opportunity to venture into the home décor arena where I was able to combine my love of design with my desire to bring quality products to the market. I spent the next 7 years as an award winning buyer, managing and building a $22 million dollar furniture and upholstery business for the department store, Fortunoff. In this role I was directly responsible for the product development (fabric, design, color) of sofas, wall décor, and furniture accents, traveling around the world finding the newest trends and products. 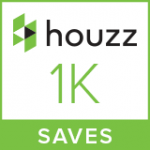 My career transitioned in 2008 when I decided to pursue my passion and enter the world of interior design. 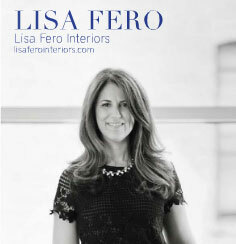 I studied at Fairfield University, opened the doors to Lisa Fero Interiors and began to help clients design their homes. While interior design is often thought of as only for the affluent I believe good design can fit all budgets. I offer many different options to suit my client’s needs, from accessorizing or shopping trips to full scale design. 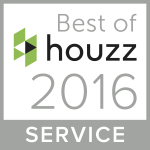 No matter what service you need for your home, the process will be fun, exhilarating, and rewarding! We will plan out your home room by room; find the colors and fabrics that best personify you, and design your home in the image which best represents your style. Thank you for reading a bit about me and my philosophy. I hope we can work together soon.